A little idea came into my head one day last February. Just before Christmas Kat and I had held a club gathering at the Croft Trail for our club and it occurred to me then it might be fun to do just a Ladies one. The idea kept popping up all through the summer until in August I decided to action that idea. I contacted other Ladies from local Ladies only groups and asked them what they thought, it seemed to be a winning plan. So on it went. From the original 8 ladies I contacted the numbers spread via FB to 17, spreading the word amongst their riders. In September the date went in the calendar. We were now official. Helen from Dame Forest of Dean group had arranged to have mince pies and mulled wine ready at the end of the ride, Tinsel and club shirts were part of the dress code so we would all know what clubs we were riding with . 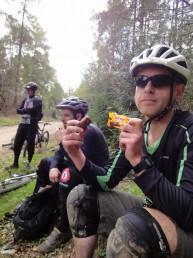 The ride organisation was gaining momentum and before we knew it we were now being offered lunch too. Ladies just kept adding their name to the event list and my idea of a little social with maybe 20 ladies attending was, all those months ago, was now a staggering 77 ladies. The week before like great chunks of the country, we had snow. Not masses near Swindon, but that was not the case in the Forest of Dean. They were covered in the stuff, enough that the trail centre had to close for a couple of days. When they were able to open again the trail pixies and Forestry Commission had been hard at work to make the trails usable after all the fallen trees, we were lucky it still looked good to go, the trails were ready. Then came the message that the family trail, that we were using for the morning social, was still impassable due to fallen trees and frozen icy snow blocked tracks. A hasty change of plan took place and along with it some cancellations. The weather was starting to have an impact on another week it seemed. I set off with a friend to The Forest of Dean, the early hour still very much swathed in darkness, to make sure I had enough time to organise everything. One of the Ladies had got there even earlier than us, unsure of what the local roads would bring. An hour later, and expecting a considerably reduced gathering, we were set for MB Swindon’s first mass Ladies club event. However, despite the weathers best efforts, we seemed to have amassed 72 Ladies, ready to hit the now amended route of the Verderers trail. With Helen at the helm to keep the pace steady due to some icy trails, we set off. It was an amazing sight to see so many riders winding their way up the trail with tinsel bedecked bikes. Malvern Maidens made a big impact with their Unicorn themed shirts and Unicorn fairy lights. We had Father Christmas, Mother Christmas, several Elves and a great many Father Christmas hats all pedaling their way around the now sun washed trails. The usual photo stops, regrouping pauses and just general chat stops made for a wonderful atmosphere and there was the usual encouragement for those who were new to the trail centre. 2 hours later and with everyone safely back without incident, we made our way to the café and the room set up for our mince pies and mulled wine, hard to miss as the winter spice smell permeated the area as soon as you entered . Pedalabikeaway and the café staff had done us proud. The mulled wine was well received as it was still very cold on the ride despite the winter sun, and the pasta lunch was just the perfect meal to top up energy supplies. In the afternoon we all set off to do our own thing , some riding other trails with Katy Curd as their guide , others headed for the skills loops and the red trails and some Ladies headed home having made the very big effort to travel from as far as Taunton and Kent. 10 months ago I had this little idea, on the 16th December 72 Ladies made it a reality. Many thanks to all those Ladies who made the day very special, who gave up their time to support other riders , who made the day such a fun and memorable one for me especially , it only ever started as a small thought …Thanks too the Staff of Pedalabikeaway for all their work in making sure we were fed and watered so well . This ride is the 3rd part of the next step rides. 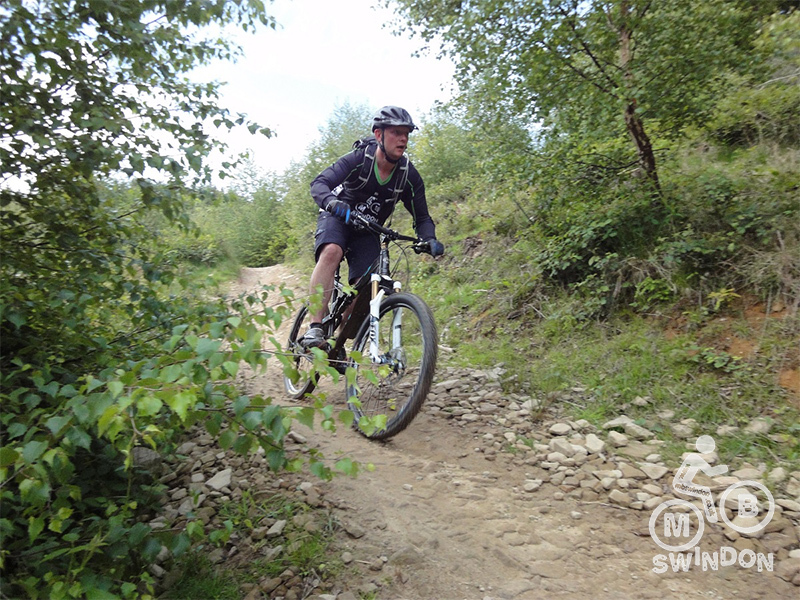 It is aimed at those who want to have a go at something more challenging than the novice friendly rides but want to do it at a steady and relaxed pace. It is not suitable for those who want to crack on at a fast pace. The plan for this ride is to do a lap of the blue graded Verderers trail, have a cuppa then see what people want to do. There will be some climbing, but it will be done slowly with plenty of breaks to recuperate. Spare inner tube, cash for parking. Drink and lunch / snacks or money for the Cafe. 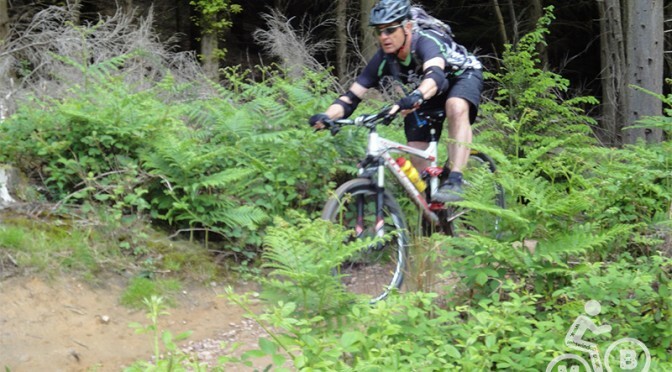 The Verderers trail at the Forest of Dean is an award-winning, Blue-graded trail that combines a decent amount of climbing with fun, swoopy descents and beautiful woodland. The surface is hard gravel for the majority of the trail, with the occasional rocky patch and a few muddy sections. The trail has a smooth surface and contains no unavoidable steps, jumps, large lumps of rock or any other obstacles. The intention is to offer a series of rides at some of the nearest trail centres with an incremental level of difficulty. Starting with Ashton Court, then Swinley followed by one or two visits to the The Forest of Dean. If you are able to make the whole series then they should offer a good progression of challenge to your skills and fitness. The pace of the rides will be set at a slow and steady “snail friendly” pace with regular opportunities for rests. Where the trails might become more challenging then there will be a chance for riders to look at obstacles in advance and to walk down or ride around anything that might look intimidating. Phil Allum plans to spend the day playing on the waymarked downhill tracks and the unmarked Enduro stages around the Pedalabikeaway centre. If you have never ventured on the downhill runs before, but always fancied it, then now is the perfect opportunity. 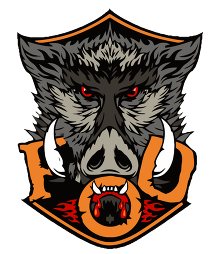 Likewise, seasoned FoD veterans are most welcome as well! Although you won’t need a specialist downhill bike for this, a full suss will definitely be the most comfortable, and is recommended unless you know what you are doing. The Pedalabikeaway centre have some really good hire bikes; see their website if you are interested. This will be a pedal (or push) up day, so legs will be required! 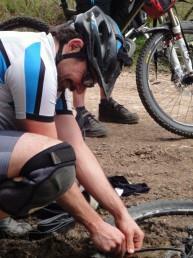 The uplift will be running so that is an option if you are dead against pedalling. We’ll start the day off with something to get you warmed up – Verderer’s final descent or Launchpad, for example, before moving on to others. Exactly what we do and in what order depends on who turns up. There is a full list of the trails on their website if you are not familiar. Some of the trails are smooth hard pack, others are pretty natural with lots of roots etc. The centre has car parking, a great café, workshop, toilets and pretty much everything you’ll need. The car park is a pay & display so please bring change. It’s currently £3.50 per day. Meet outside the Café for a 9:30am start, any questions please feel free to ask. See you there! This ride is the 2nd part of the next step rides. 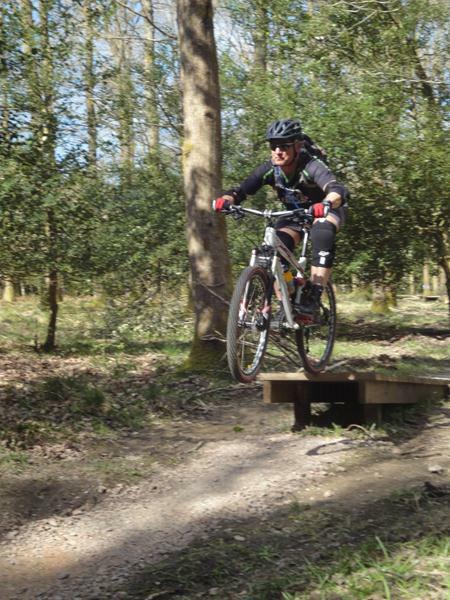 It is aimed at those who want to have a go at something more challenging than the novice friendly rides but want to do it at a steady and relaxed pace. It is not suitable for those who want to crack on at a fast pace. The plan for this ride is to do a lap of the blue-graded Verderers trail, have a cuppa then see what people want to do. There will be some climbing, but it will be done slowly with plenty of breaks to recuperate. 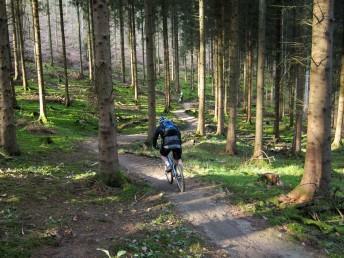 See the Forest of Dean trail centre here. 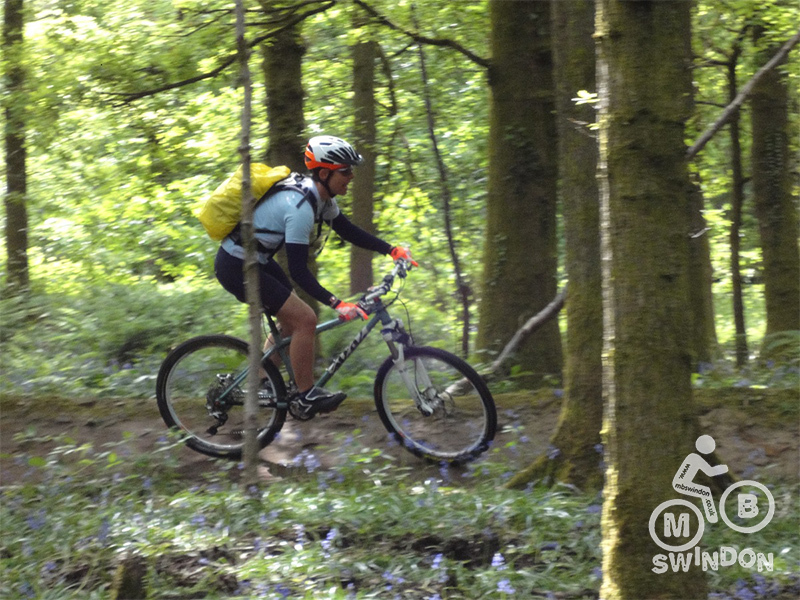 The intention is to offer a series of rides at some of the nearest trail centres with an incremental level of difficulty, starting with Ashton Court, then The Forest of Dean and Swinley and Culminating with Cwmcarn. If you are able to make the whole series then they should offer a good progression of challenge to your skills and fitness. The pace of the rides will be set at a slow and steady ‘snail friendly’ pace with regular opportunities for rests. Wherever the trails might become more challenging, there will be a chance for riders to look at obstacles in advance and to walk down or ride around anything that might look intimidating. If you like to crack on and ride fast then these will not be suitable for you. If you enjoy a break, a bit of a faff and some natter on the trail side, then these rides might be just your cup of tea. 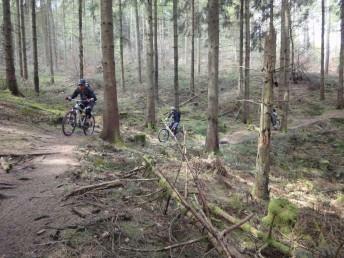 The Forest of Dean offers something for Mountain Bikers of all abilities and tastes from family trails to downhill runs. The club will be going there to check out the trails and the excellent cafe. This is not a led ride as such, but a chance to come along and ride the trails of your choice with other club members. We will be meeting at the cafe at the Pedalabikeaway Cycle Centre for a coffee and chat. The plan is then for everybody to split into groups to enjoy riding at their own pace and ability. We will then meet back up for lunch at the cafe, which serves a big range of hot food and cake. After lunch more riding for those that want to. See photos from previous rides. 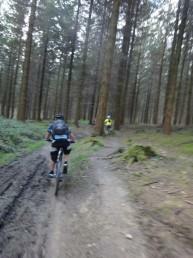 With the Forest of Dean being one of our closest trail centres, we normally do one or two club trips there each year. 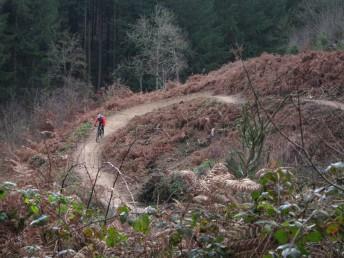 If you have never been before, then take a look at www.fodmtb.com and www.pedalabikeaway.co.uk for what to expect. Our meeting point is always the Pedalabikeaway centre at Cannop. With a Cafe, bike shop, workshop, toilets and the starting point of the trails, it’s the obvious choice. As we always do with trail centres with multiple trails, we just meet up, decide who wants to do what, assemble groups to suit and get out on the trails. Today’s group of eleven decided that a lap of the Verderers would be a good warm up, so that was the first hour or so sorted. I hadn’t been round the Verderers for a while so I was keen to see how it was faring. The final descent has had a lot of maintenance work carried out recently; some of the higher rollers have been levelled out and resurfaced. Personally, I preferred it how it was prior to the maintenance work: worn out, rocky in places with big holes developing. But for a blue graded trail with extremely high traffic, it needed to be done. The final descent is now fast and smooth and provides big grins all around. Stopping for coffee and cake at the Cafe afterwards, some wanted to do a second lap, some wanted to do some off-piste and others were just happy riding their bikes. We then split into two groups; a smaller group went for lap two of the Verderers, while the rest of us did a right old mish-mash of trails. We started off up the downhill push-up track, which everyone managed to ride, followed by going down the Launchpad. Only Paul Broadrick had been down the Launchpad before, so it was good for the rest of us to try it for the first time. Fast, smooth and kind of like a pump track was how someone described it. Being designed for the four wheeled bikes of www.roughriderz.co.uk which have no means of propulsion, there is no real need to pedal on your way down. In fact, when it first opened there were plenty of accidents due to people going way too fast. After that it was back up to the top, taking a track next to the Launchpad, then down a previous enduro race stage which brought us out near the end of the Freeminers trail. 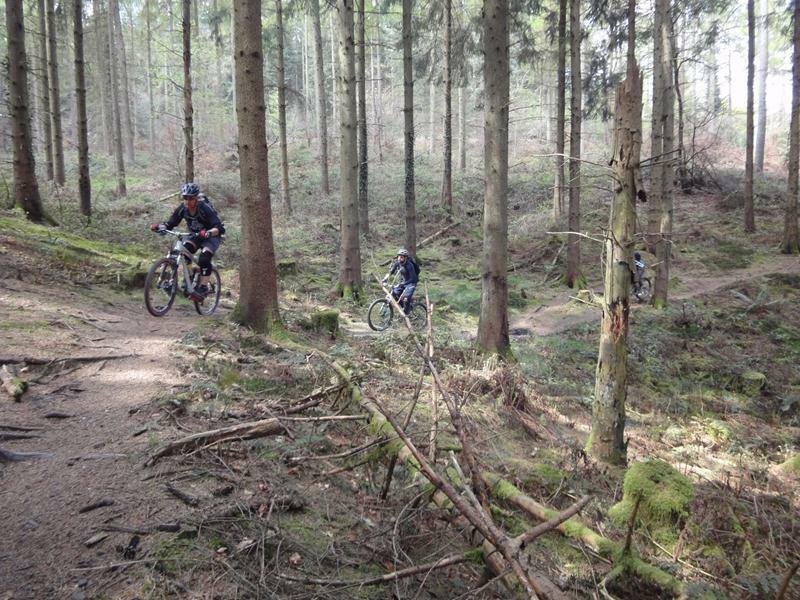 The steep, rooty singletrack certainly got our riders’ adrenalin pumping. After a short discussion it was decided that more natural riding was in order, so Paul Broadrick very kindly offered to show us lots of technical off piste stuff. Some I recognised from previous races in the FoD, but a lot of it was new to me as well. It was a blooming great little loop we did and I hope I can remember it for future use! We finished off riding the last bit of the Freeminers, taking in the newly built boardwalk sections and rock gardens. Both of which have been brilliantly built. On returning to the Cafe, the car parks were overflowing and riders of all ages, shapes and sizes were out enjoying themselves on their bikes, which was a great thing to see. Due to demand, there was a barbeque set up serving what looked like great burgers to the hungry riders. Thanks for a good ride everyone; I hope you all enjoyed it as much as I did. Also, a big thanks to Katherine for providing some delicious cake at the end of the ride, much appreciated! See you all on the trails again soon! The Forest of Dean is always one of our most attended rides. 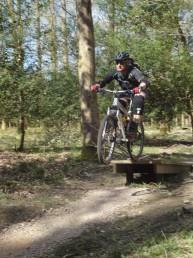 This is because there really is something for everyone there, see http://www.fodmtb.com/ for details of what’s there. See also our previous ride reports. So on a nice dry, mild Good Friday, a massive gaggle of MB Swindonites had gathered, ready to set off. Most people wanted to stick together so we opted for the Freeminers as a warmup. Tony Holmes and our newcomer Denise decided to tackle the Verderers. A small group of latecomers also started off on the Verderers. There seems to be almost continued developments on the Freeminers at the moment, the latest being a set of 5 progressively higher wooden jumps. These proved very popular. The dry weather meant that the trail conditions were spot on. After a brief regroup back in the carpark, Paul Broadrick very kindly offered to give us an off piste tour. It covered approx 30km and included some of the enduro route, old downhill tracks like Y2K and other parts of the Forest. After this huge tour, which left some of us flagging somewhat, a regroup at the cafe was in order. Here i had to depart due to other arrangements, leaving the rest telling stories over coffee and cake. Big thanks to Paul Broadrick for sharing his local knowledge with us, opening up an even bigger network of trails around the Forest of Dean. The Forest of Dean is one of the few places where there really is something for everyone. From the green, blue & red trails to the downhill tracks, there will be something to tickle your tastebuds. This day will follow our usual trail centre format. It’s not a led ride as such, more of a day to ride the trails with fellow club members. The plan will be to meet in car park around 9:30am, decide who wants to ride which trails, split into groups and hit the trails! Pedalabikeaway has a great cafe, bike hire, well stocked bike shop, workshop, toilets, showers, bike wash… pretty much everything you’ll need, and then some! So the first enduro race of the year (26th March 2014) for the Gravity Team; round 1 of the X-Fusion/Enduro1 series. This first round being held at the Forest of Dean. 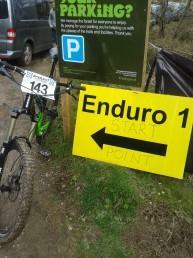 For those not in the know, the gravity enduro format is normally one loop of around 20-30km, with 5 or 6 timed stages. With riders setting off 30 seconds apart. 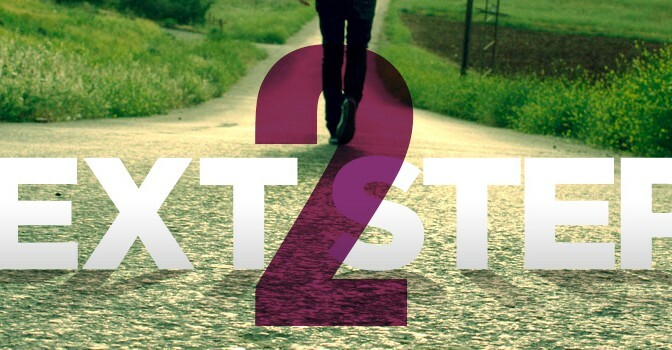 These stages can range from 1 to 6 minutes long, and can consist of pretty much anything. Although the stages are predominately downhill, there are regular flat or even uphill sprints mixed in. Finally, you only have a certain amount of time to make the transitions between the stages, so you have to stay on the gas at all times or you can easily incur a time penalty for being late! 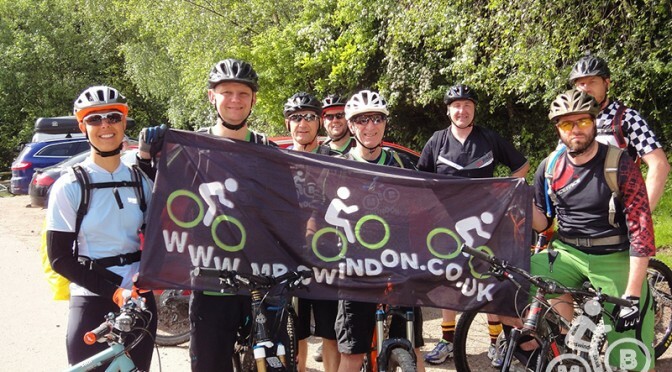 The MBSwindon Gravity Team of 2013 did a grand job of winning the competitive team class of the X-Fusion/Enduro1 series last year. So no pressure then. Arriving at the Pedalabikeaway centre nice and early, the weather looking promising. Mike & myself, joined by Leon decided to have a pop at a downhill run to warm up. Halfway down I somehow got lost. Not a great start. The race stages were nearly all off piste stuff, so damp mud was the order of the day, pretty much perfect conditions. Tight switchbacks, plenty of roots, rocks, mounds, drops and more roots. Some sloppy parts added to the mix as well. Stage 2 was to be the team chase, where all 4 of us start at the same time, and the last man to finish will be the teams time for that stage. This is always my favourite, not only because it encourages silly overtaking moves but I also get to follow someone and copy their lines! Stage 3 had a big drop just after the start. There was a chicken run around it which was well advertised, but it caught some people out. One chap being dealt with by the first aiders when we went past. Stage 5 was the corkscrew downhill run, with a flat pedally section to begin with. I lost a lot of time on this stage due to being too careful. A few months ago i got caught out by a root and went face first into a tree here. Now whenever I go down there, I can’t seem to put that incident out of my mind and end up tip-toeing my way down. So that was it. A slog of a day but well worth the effort as we won the competitive team class. The competition was tough, 2nd place being 18 seconds behind, 3rd only 2 minutes or so after that. 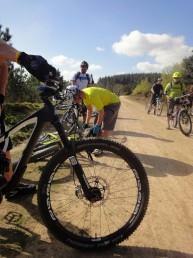 Round 2 is being held at Haldon Forest, Exeter on 18th May 2014, see you there!